Last week I finally got to see two acts I have been really digging for a while now; Philly’s Charles Latham (aka Death Panel) warmed the Northstar Bar stage for Nashville’s Tristen. Up first with a genuine dose of anti-folk humble-pop was Charles Latham who, depending on the minute, also goes by Death Panel. He is but a man on a stage with a guitar but his songs evoke the presence of a variety of characters from the objects of his affection to the voices in his head. His lyrics are often self-depreciating vignettes – sometimes literal to an awkward degree- and always delivered with a choir boy honesty. 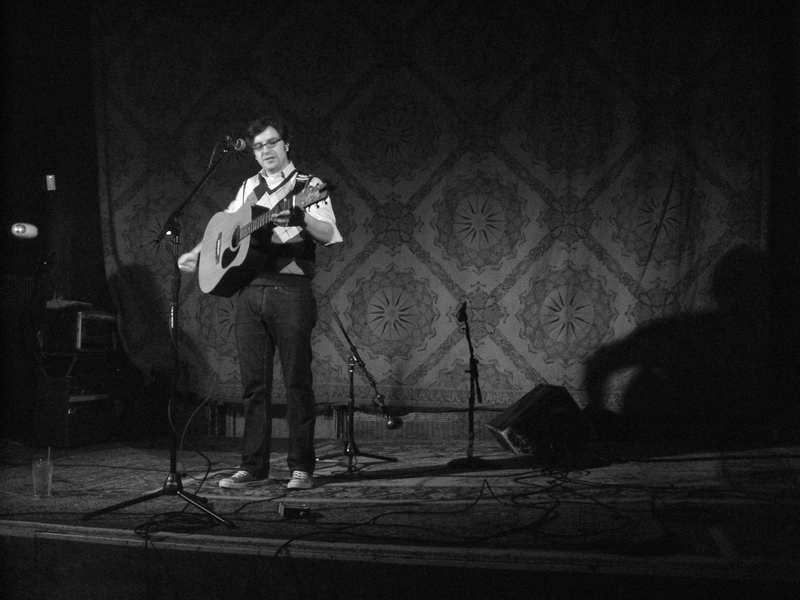 When you see Latham live the candor of his anti-folk approach is central to his performance. He possess the musical skill to play catchy guitar riffs and the fact that he has chosen to pair what otherwise could easily be another radio friendly indie track with lyrics about rejection and hard ons that are disarmingly alluring. Giving each song a quick intro he professed his performance theory of “flying without a net.” To a certain extent the social discomfort expressed in his songs is constantly present on the stage but after a few minutes I warmed to the discord and balls out attitude conveyed by Latham. It was the perfect way to start pulling folks in from the bar for the rest of the evening’s line up. He has a new album out soon and while the record doesn’t possess the awkward charm of his live set it does demonstrate his skill at writing some damn catchy tunes. 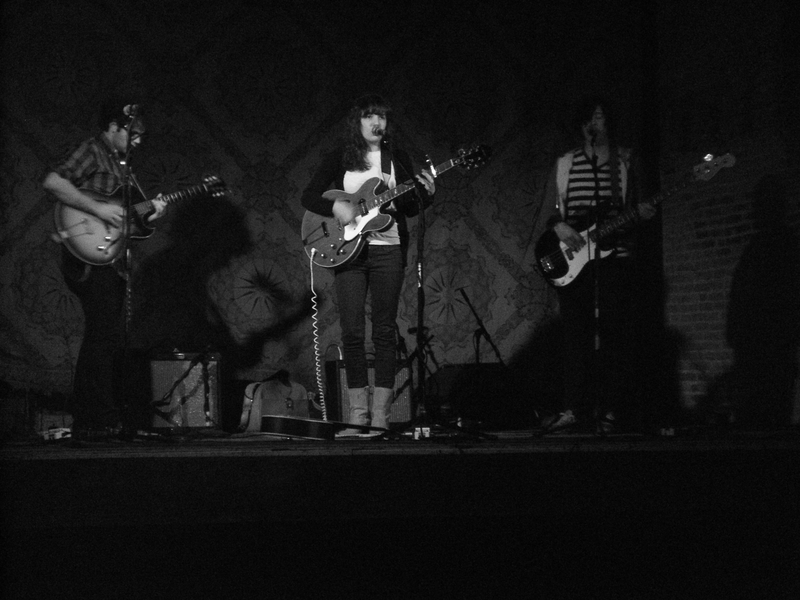 Tristen sneakily took the stage next and with little warning jumped directly into her brand of retro twang. Accompanied by another guitarist and a bassist on stage the set was a pared down version of the lush tracks you can hear on her excellent tour EP Deceivers Are Achievers. Without the additional instruments Tristen proved the flexibility of her vintage vocals. At times simple and childlike, as on “Special Kind Of Fear,” and at others she really let loose belting out the words with a raspy twang that just blew me away. Her stage presence is modest and shy. It took her a few songs to really look comfortable on stage but once she did a playful hue was cast on the entire set. She was clearly at ease with her backers and the three of them knew how to manipulate the material just right so that, despite being a smaller group than I was expecting, the songs maintained their quirky appeal. The addition of a ukelele for a few songs broke the guitar centric arrangements up a bit and added a tone of variety. Tristen’s strongest asset is her voice and it was plenty strong to carry the show but ultimately I would love to see her with a full band so that the softer more subtle channels in her voice could contribute the nuance heard on her EP. I think we can expect greatness from Ms Tristen especially if she really pushes her vocal boundaries.